The holidays are here! 'Tis the season of family, friends, food, more food and more family! 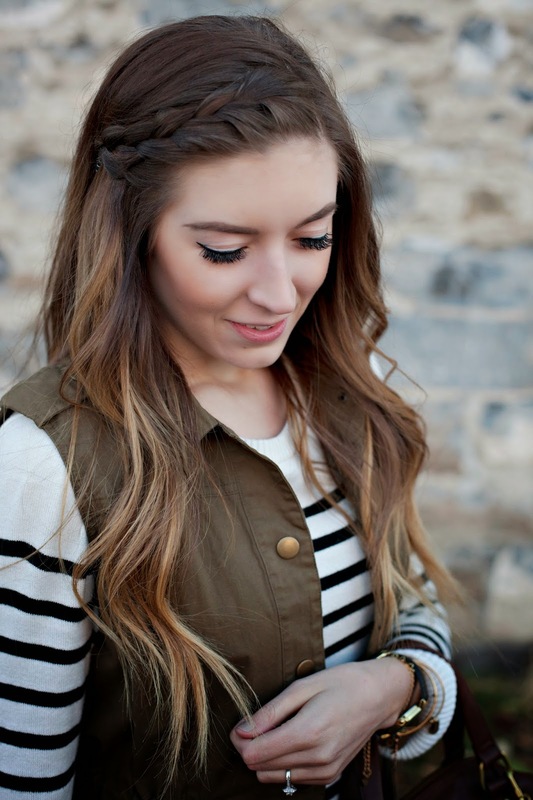 Do you like to dress up for your holiday events or keep things more casual? I kind of do both and I have a feeling all of mine will include a vest of some sort. 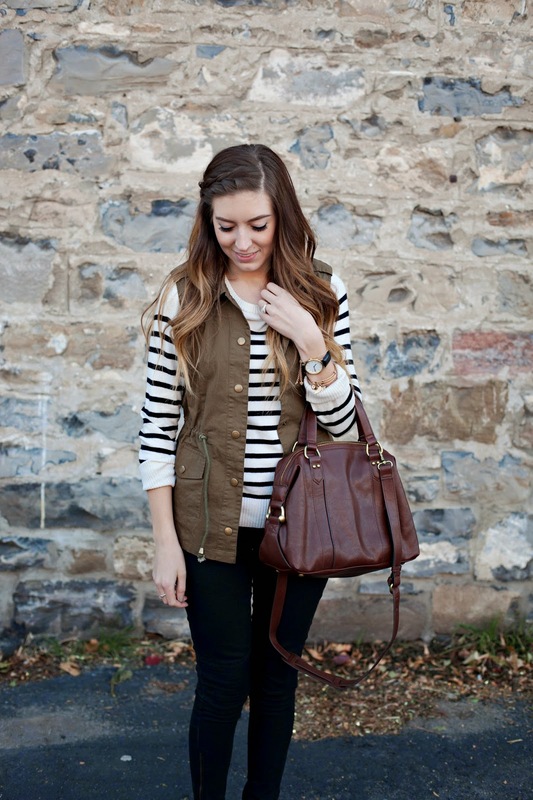 I am loving all of the vest options right now. 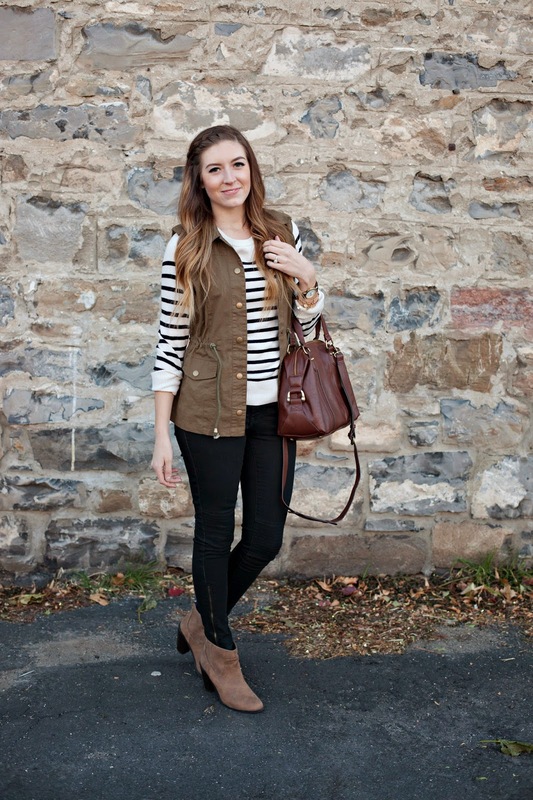 This army green cargo vest is perfect over a stripped sweater. I love adding layers to my outfits, especially over this sweater, I've worn it in the past and I always felt like something was missing. Now I know that it was missing this vest. 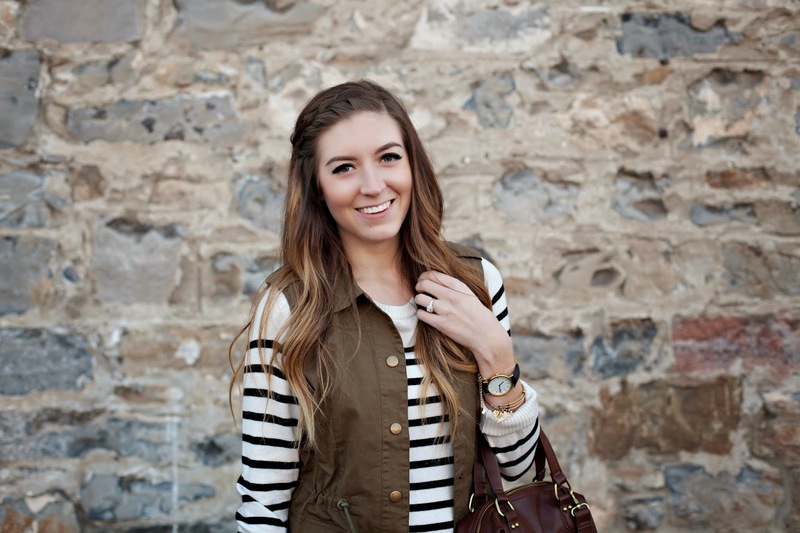 Don't be afraid to try layering your old and new clothing items. 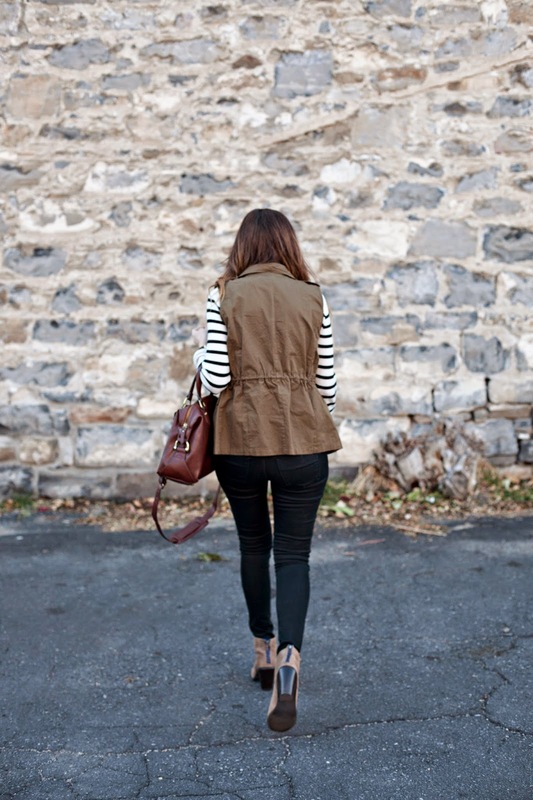 You never know, you might come up with a whole new wardrobe without having to spend a fortune! Also, make sure you head over to our Instagram at 10 am for an amazing $200 giveaway with DownEast! Get a jumpstart on your holiday shopping or treat yourself just don't miss out on this giveaway!